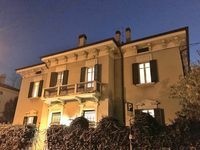 Villa, hills, private pool very close to Verona. Pool already open! 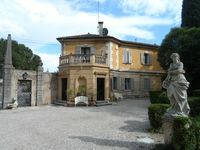 Property 17: Villa, hills, private pool very close to Verona. Pool already open! Property 23: Sundrenched holiday home near Lake Garda,in the province of Verona. Property 26: Villa with garden, lake view on two levels. Secular Villa, SALT POOL & LAKE VIEW! 500MT from Lake! Property 49: Secular Villa, SALT POOL & LAKE VIEW! 500MT from Lake! It's not luxurious, but not intended to be. We've stayed her two years running and love the property and location. The owner is very welcoming as well. Eight of us cycling ladies from Canada enjoyed a perfect 3 night stay at Villa Camilla prior to our cycling adventure. It suited us in every aspect. The spacious , clean rooms and excellent location meant that we could spread out and also come together whenever we wanted. In fact, we did not even use all of the rooms! The furnishing were most adequate and the supplies provided helped us in preparing some of our own meals . We appreciated being on a quieter street and yet close enough to the central happenings of charming Verona. If we had stayed longer, I am certain we would have used the garden area as well. Costanza, the rental administrator, was most gracious in going over details related to the home and she very kindly arranged for a van to pick us up on our departure date. The only frustration for us was in trying to get the clothes dryer to generate heat. Drying clothes became a lengthy process. Perhaps the heating element was malfunctioning. All of us would highly recommend this place particularly for a large group.